Welcome to Marbella! 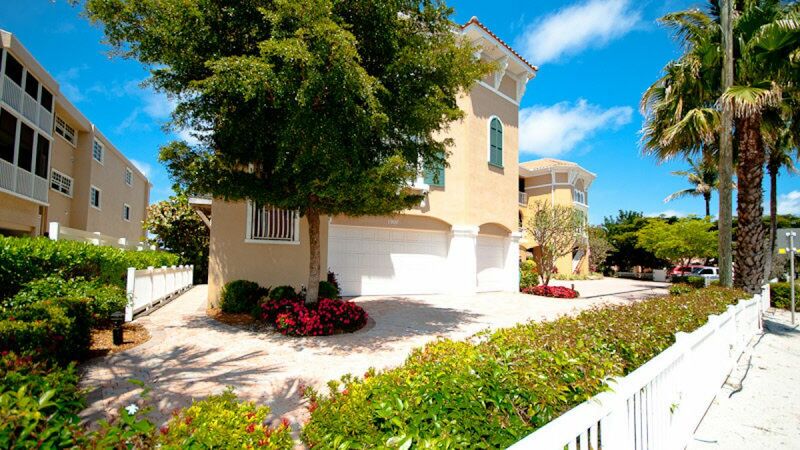 This gorgeous vacation villa is located on the top floor of a beach front condo complex. 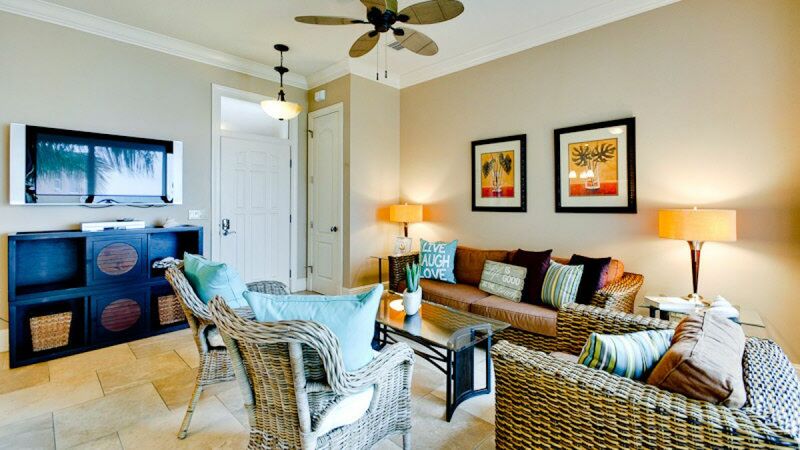 Enjoy the sweeping views of the Gulf of Mexico from the sliding glass doors that fill the unit with the sweet scents of sunshine and salty air! 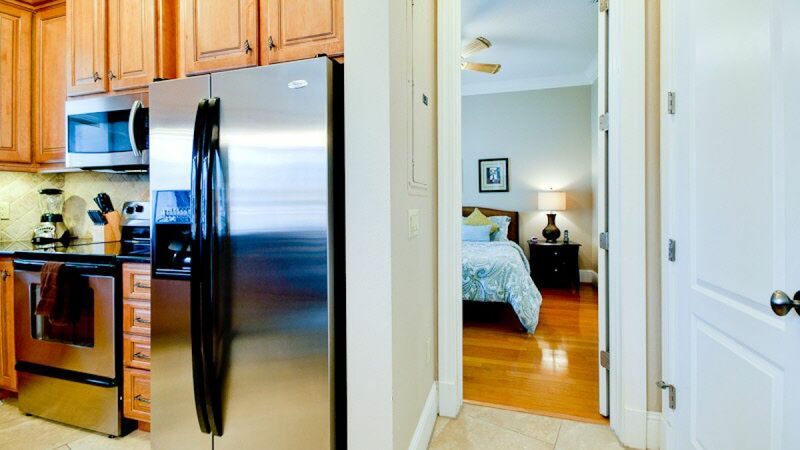 Marbella has top of the line furnishings, hardwood and and ceramic tile throughout, and stainless steel appliances. 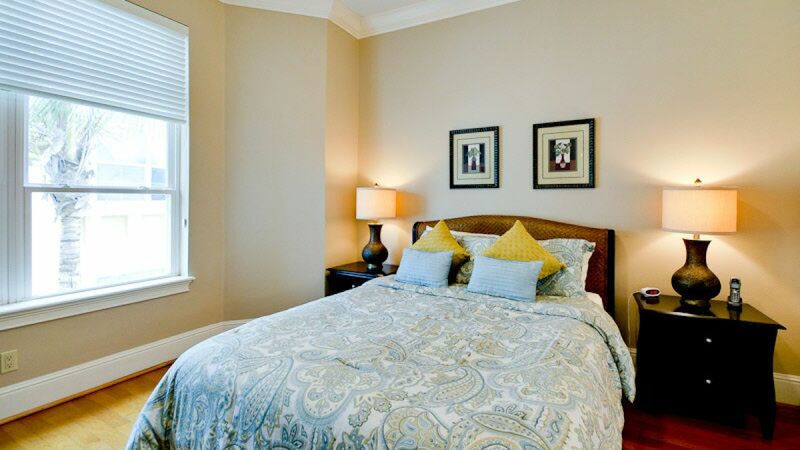 Fall into your cozy bed after a long day on the beach. Wrap up in soft sheets and fall asleep to the sounds of the waves crashing along the shore. 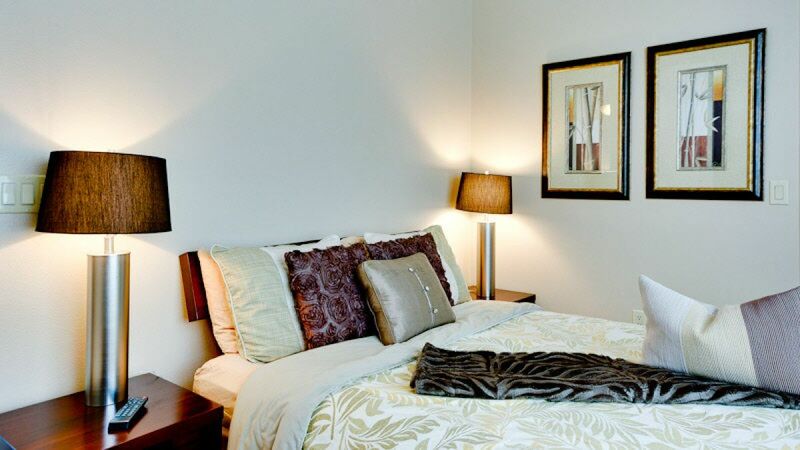 The master bedroom has a lovely in-suite with plenty of room to primp for a night of fun at one of the local restaurants! 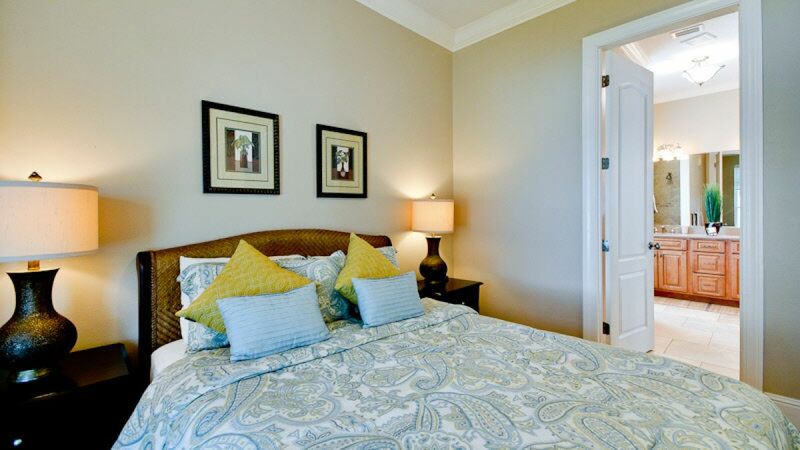 The guest room is also equipped with a queen sized bed, a flat screen TV and room for all of your new purchases while shopping on Anna Maria Island! Below the unit is a garage for your use. 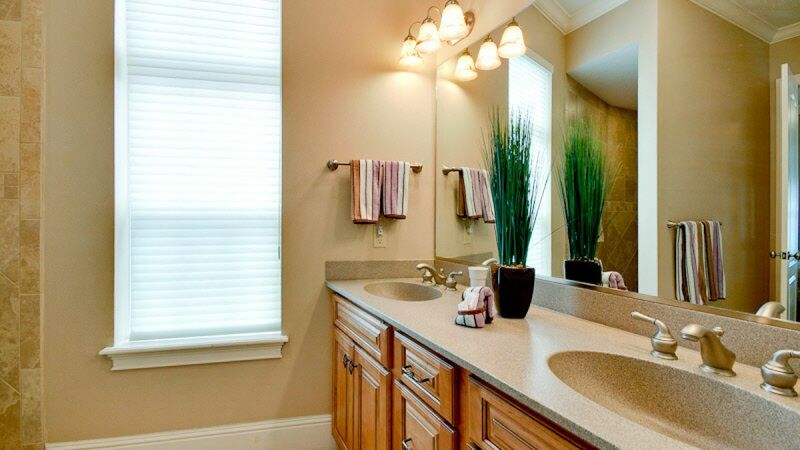 A great place to store your beach toys and other essentials! 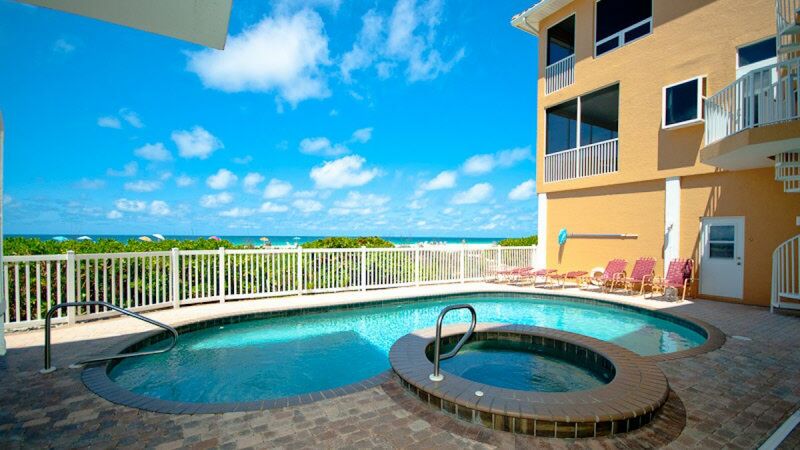 From the garage you can access the pool / spa area and then walk out to the splendid Gulf of Mexico! Your vacation dreams WILL COME TRUE at Marbella! Please contact me with information regarding Marbella. Awesome! The only thing I wish was different would an elevator. Hauling luggage to the unit was hard. 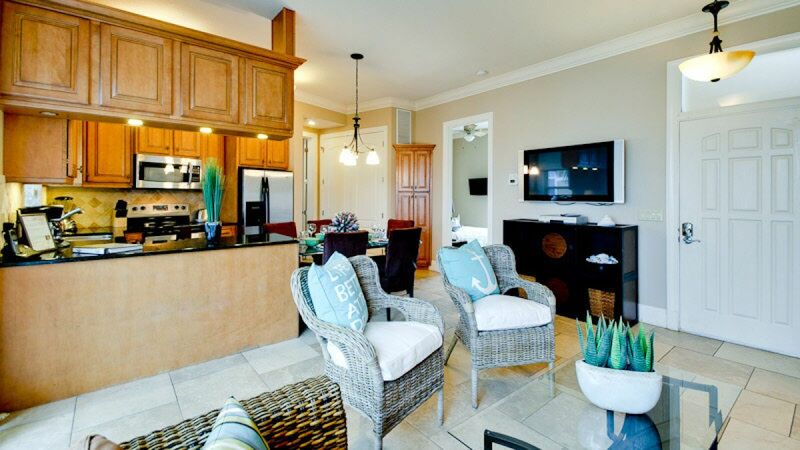 Very happy with condo, right on the gulf, not so far to drag the beach stuff. Condo is well stocked and comfortable. Wonderful view to watch beach activity or sunset. The flights of stairs can be a challenge when loading and unloading baggage or groceries. Centrally located to the many things to do on the island. This place was beautiful. Spacious and clean. 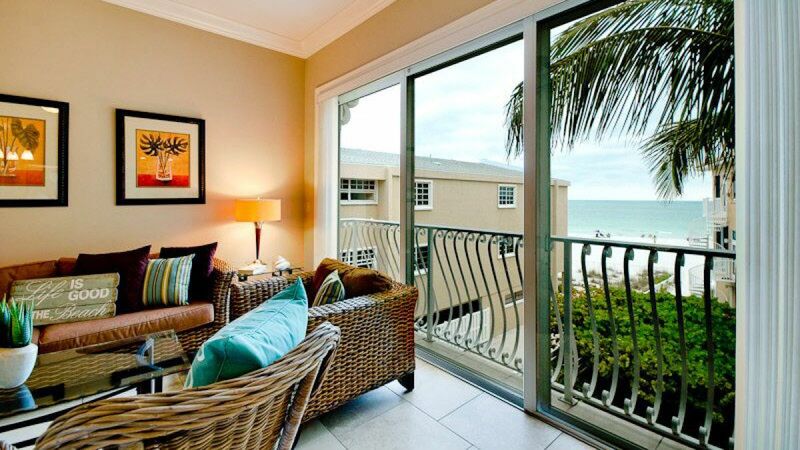 Open the windows and hear the ocean waves! Marcus from Florida Dreams was wonderful to work with and Stephanie, who was in charge of making sure the unit was clean and perfect, does a fantastic job! The trolley was a wonderful way to get around the island! Sunsets in the beach were amazing. 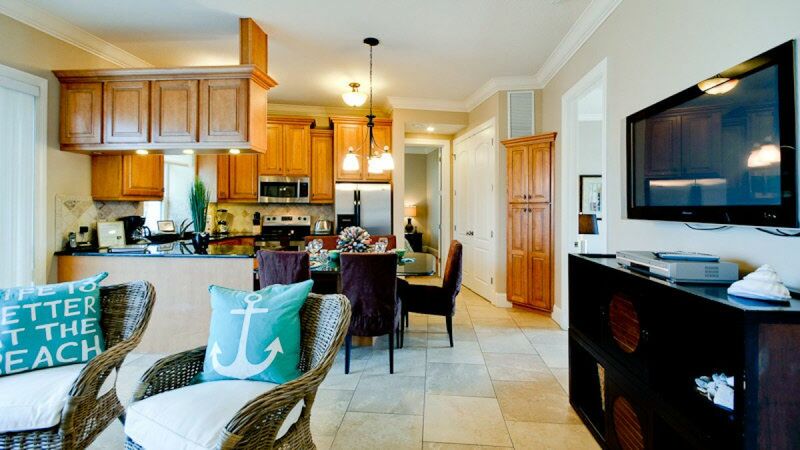 Perfect location,quality amenities and great views. 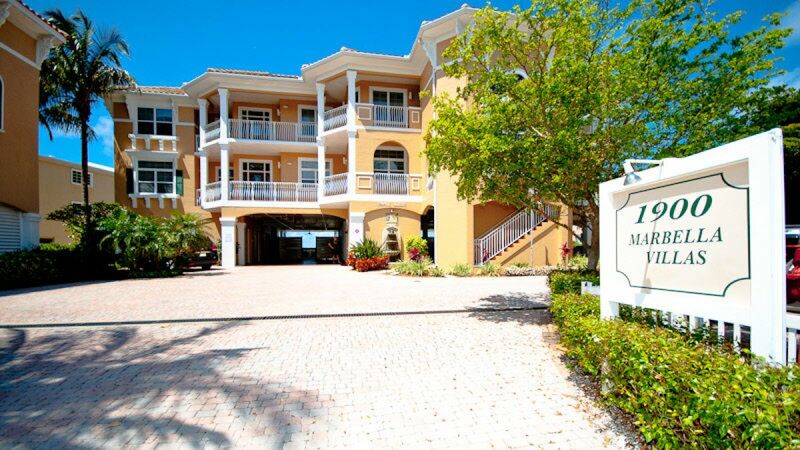 Marbella #11 is a lovely condo on the beach with a shared pool and hot tub. Beach access is great. 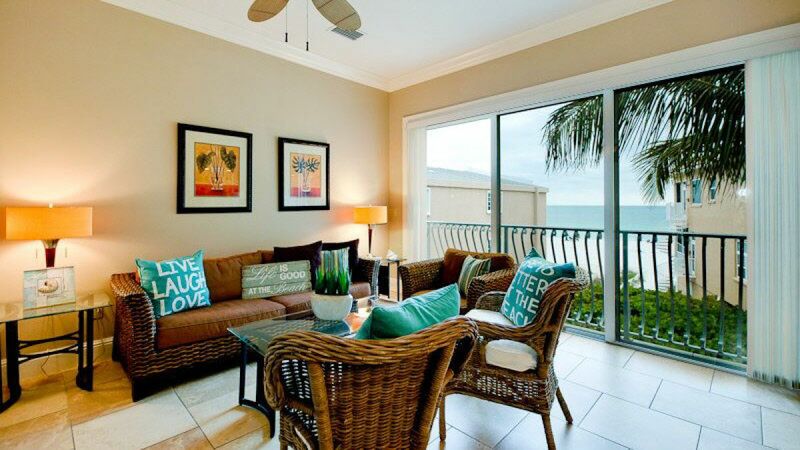 The condo has an ocean view, but is street-side, set back from the beachfront units pictured. 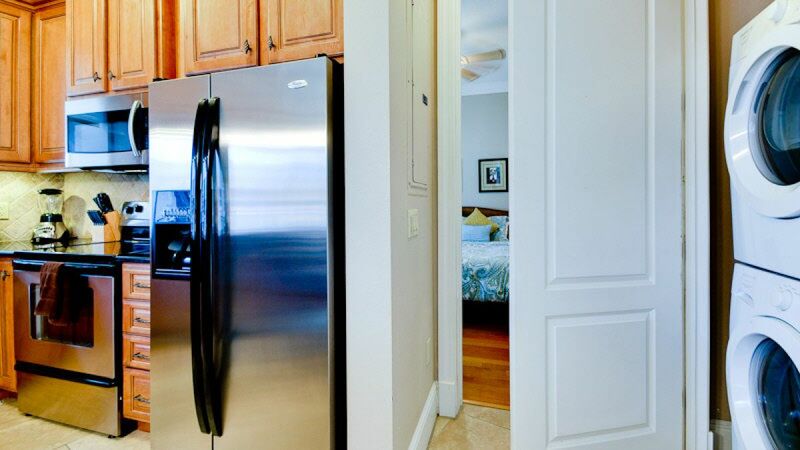 The unit is spacious, clean and very comfortable for 4. Having a washer/dryer in the unit was a big plus. Neighborhood is quiet; trolley stop is close, Bridge St. is walking distance. 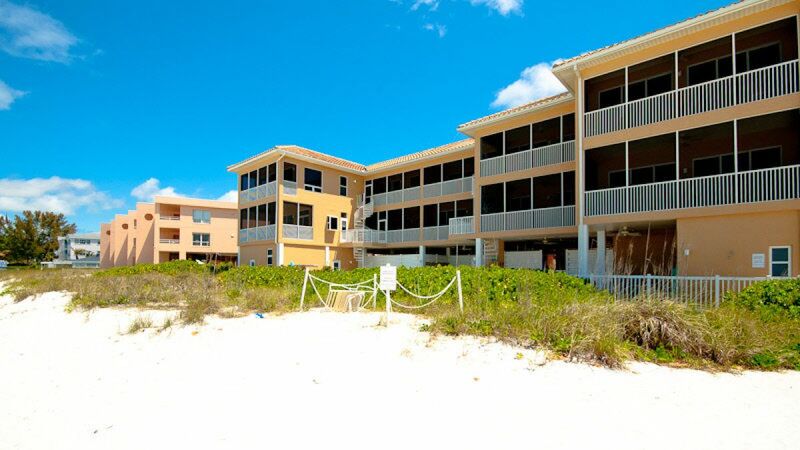 Great access to beach.. kids enjoyed the pool no hot tub..
We loved this 2 bed/2 bath condo, there are very few set up for 2 couples, so this was a real find. 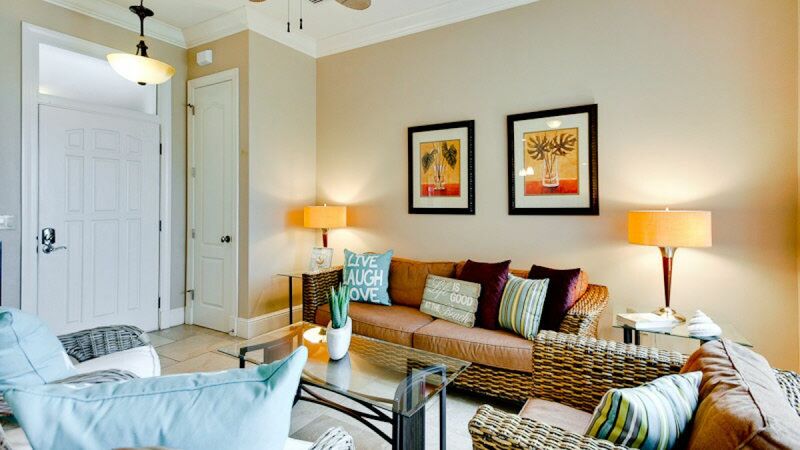 The location is amazing, directly on the beach and the furnishings are comfortable. The free trolley stops almost outside - a great way to get around the island - no car needed. 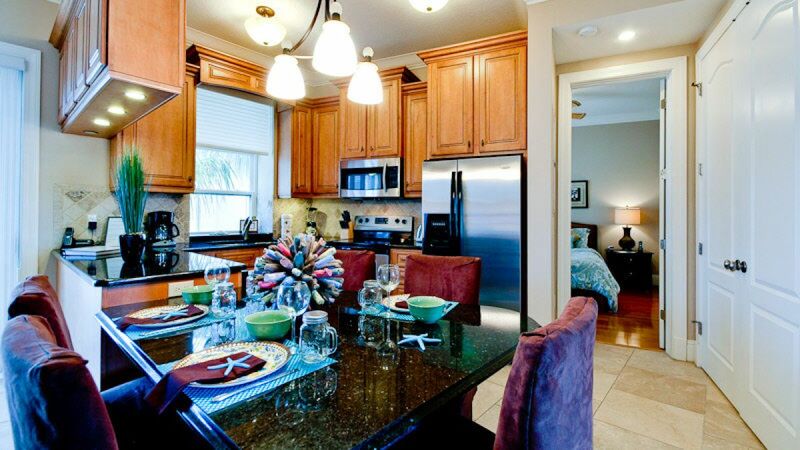 Fabulous condo spacious well equipped clean?? excellent location almost beach front highly recommend it. Our unit was extremely nice and very comfortable. 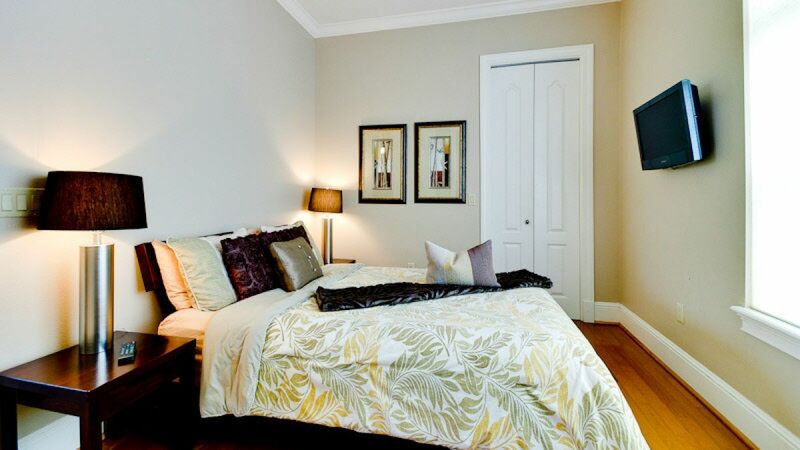 We always try to stay in the same unit ,because we know how nice the unit is and it has everything you need. Amazing! The condo was perfect for our family of 4. Plenty of room. 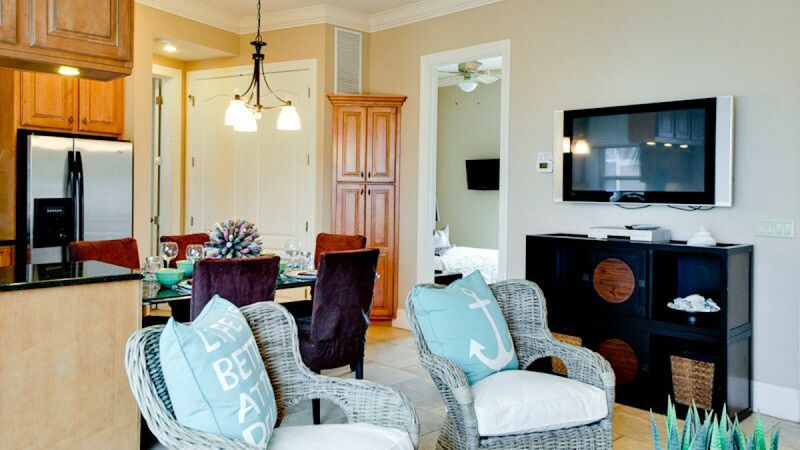 Loved the high-end finishes, Gulf view, pool, and beach access. Having the garage was great when parking was limited & storing beach gear. 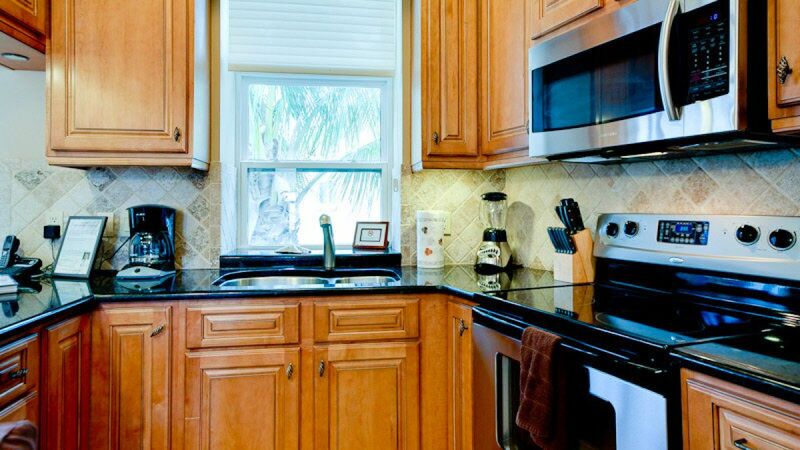 The condo and property were clean, and the management company was great. Our only wish was that there were some larger-sized pots & pans. Great week in Bradenton Beach. Perfect weather and lovely accommodations. Absolutely wonderful. I never stay at the same place twise but I will definetly stay at this villa again. Just perfect! 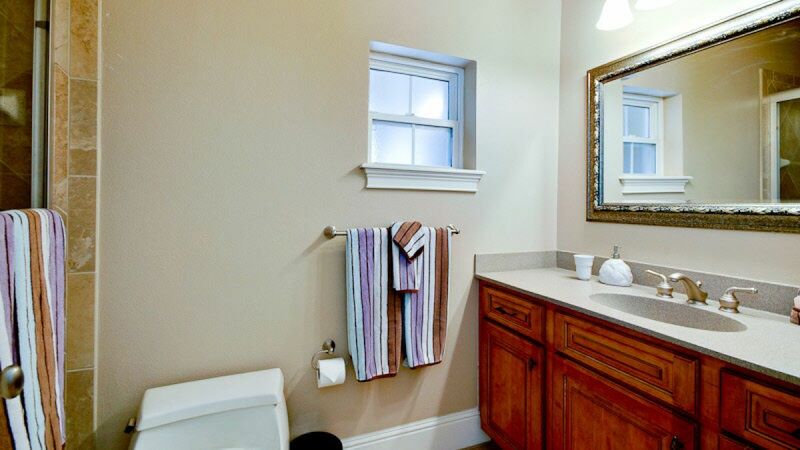 Very clean, I usually have to reclean a property when I arrive. The codo was well decorated, and the staff at Florida Dreams are so helpful. Just one note, the previous renters did not do a good job washing the sheets. The master bedroom sheets were clean but gritty with sand. I would suggest letting the cleaners wash sheets just to avoid that, but no big deal, we washed them again. The condo view and decor was very prestige. The pool was nice and the beach couldn't be more beautiful. The mattresses need replacing, and there is an ant problem (despite the fact we threw our trash out daily). You are expected to wash any towels or bedding you use from the closets, but they do not supply detergent. Also, you will need to buy toilet paper- although there was a roll in each bathroom, they do not supply stock. We also had to buy garbage bags, only one was supplied. The garage was a nice feature, but is set at an angle, so was very difficult to maneuver car in and out. Although it's on the second floor, it is three stories up; you will get your exercise. All around great experience. By far the best rental agent I've ever used. Condo was perfect. Marbella #11 was everything we anticipated and more. A separate three level unit with two guest villas. On the gulf with sunset views. Clean and well appointed. Private garage Very roomy, open design with brand new beds and mattresses Looking forward to the next two seasons. Only elevator, but good exercise for us. Our family had a good vacation. There was mildew in the bathroom that the cleaning service must not be noticing, but other than that everything was very nice. Alles ok , gerne wieder. Property Mgt company was great. Condo very nice and up-dated. The Apartment was very nice, as was the whole development. The view of the water was beautiful,. . We unfortunately were there while they rebuilt the beach, so sitting on the beach wasn't an option, but it is now more than double the size it was when we got there. . It is important to note that it is a walk up unit, no problem without luggage, a little rough with it. Everything you need is provided in the unit, and lit was nice and clean when we arrived. Overall we had a lovely stay. 4th stay at this place. We like the location. The beds and the chairs in the living area are too soft (our opinion). We enjoyed our stay at Marbella. The place was clean and comfortable. We highly recommend!! Will stay again. We enjoyed ever aspect our stay. 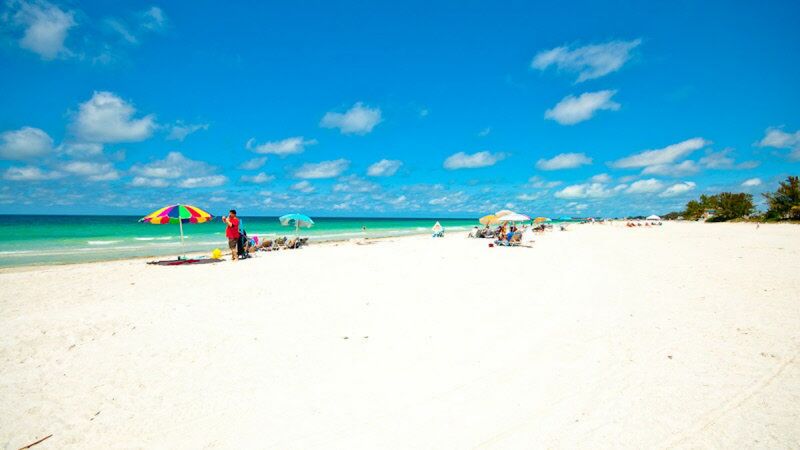 The location, the property, clean and nice, no hassles, Anna Maria Island is one of the nicest places you can possibly imagine for an escape to white sand beaches and all the area has to offer. My wife loved it and her standards far exceed my own. We will be back!